The National Institute on Disability, Independent Living, and Rehabilitation Research (NIDILRR) recently funded three Projects for Translating the Findings and Products of Disability and Rehabilitation Research and Development into Practice to promote the use or adoption of findings from NIDILRR-sponsored research or development projects. The KTER Center works with these projects to share information about their knowledge translation plans. In this webcast, researchers from these projects, Mark Harniss, Marsha Langer Ellison, and Lynn Worobey describe the knowledge translation strategies they plan to employ to increase the use of research previously funded by NIDILRR. Additional tools on the bottom right side: "Settings" increase the video quality; "Theater mode" (default)/"Full screen." After viewing the webcast please fill out the brief evaluation. NOTE: There are NO CRC-CEUs for this 45-minute webcast. Mark Harniss, PhD, is PI of the Translating Evidence about TBI to Practice within Washington State Department of Corrections project and Associate Director, University of Washington Center for Technology and Disability Studies. He is also a Clinical Associate Professor in Rehabilitation Medicine with a background in the design and development of instructional and assistive technologies for people with disabilities. His research focuses on knowledge translation and implementation science as well as accessible measurement. Currently, he is co-director of the NIDRR-funded ADA Knowledge Translation Center with lead responsibility in knowledge management and technology. Marsha Langer Ellison, PhD, is Co-PI of TEST - Translating Evidence to Support Transitions: Improving Outcomes of Youth in Transition with Psychiatric Disabilities by Use and Adoption of Best Practice Transition Planning project and is an Associate Professor in the Department of Psychiatry at the University of Massachusetts Medical School and a Health Research Scientist at the Bedford MA Veterans Administration Hospital. She has decades of funded research on recovery and psychosocial rehabilitation for people with mental illness. Currently she serves as a Deputy Director for the Learning and Working During the Transition to Adulthood Research and Training Center (Transitions RTC) funded by the National Institute on Disability, Independent Living, and Rehabilitation Research (NIDILRR). This Center conducts research on interventions that speed the recovery and community integration of youth and young adults with serious mental health conditions. Most recently, Dr. Ellison was co-Director of a contract with the federal office of the Assistant Secretary of Planning and Evaluation on the state of practice in supported education. In the past five years, Dr. Ellison served as Principal Investigator for a project that supported employment services for youth in residential settings. 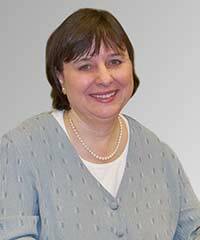 Lynn A. Worobey, PhD, ATP, is Co-PI Translating Transfer Training and Wheelchair Maintenance into Practice project and is a research associate in the Department of Physical Medicine & Rehabilitation at the University of Pittsburgh. She completed her PhD in bioengineering and a Certificate of Rehabilitation Technology from the University of Pittsburgh in 2013. She received her BS in bioengineering from Worcester Polytechnic Institute in 2008. She is a certified Assistive Technology Professional through the Rehabilitation Engineering and Assistive Technology Society of North America. Her background is in the areas of biomechanics, rehabilitation training programs and injury prevention. Dr. Worobey has been the lead author or co-author on over 25 manuscripts and abstracts related to wheelchairs and mobility.